Do you love macaroni and cheese but think it’s a bit of a chore to make? I’ve got just the recipe for you then – it only has 3 ingredients and it’s ready in under 10 minutes. My friend, Kristy, got me started on almond milk a while ago and since then I’ve always had a couple liters of Almond Breeze on hand. I even started following Almond Breeze on Instagram, which is where I found this recipe. 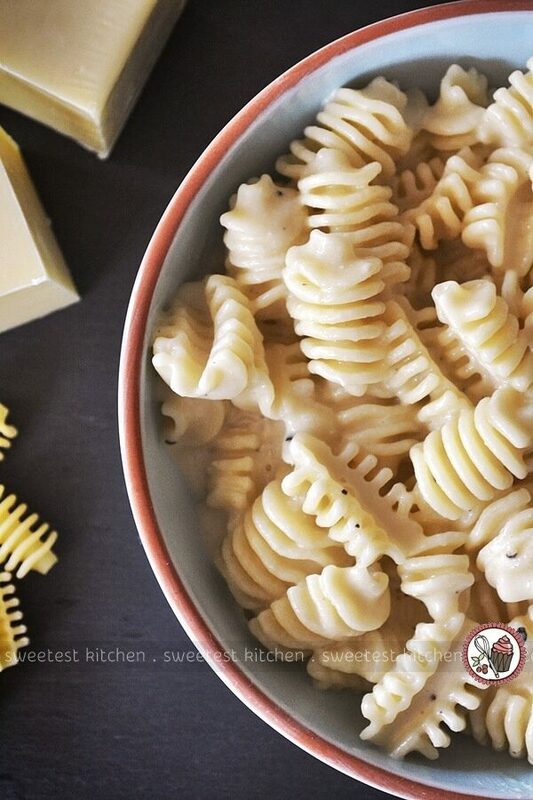 Almond Breeze posts lots of recipes featuring their delicious almond milk, and I was a bit surprised one day to see a recipe for a macaroni and cheese. Almond milk in macaroni and cheese? This recipe is so simple you won’t even believe it. Here’s how to do it. 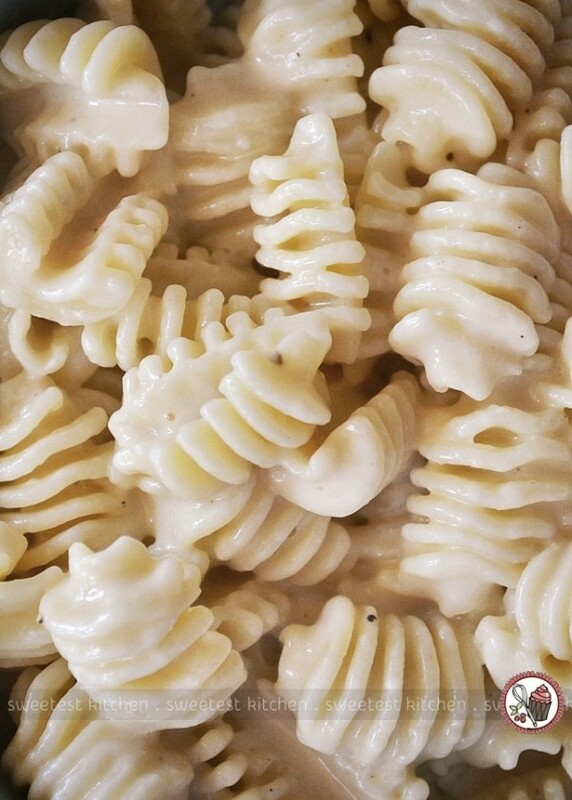 Boil 1 cup of macaroni in 2 cups of almond milk for about 8 minutes or until al dente. Do not drain. Stir in 1/2 cup of shredded cheese. Let it sit for a couple of minutes for the cheese to melt. Season and enjoy. Look at that cheesy goodness! It makes a perfect quick side dish for a couple of people. I’ve also quickly cooked this up for lunch a few times when I’ve been rushing around, and added a handful of fresh chopped broccoli towards the last couple minutes of cooking time. You could also add things like peas, ham, bacon, pancetta, crunchy breadcrumbs, sriracha, anything you’d normally add to macaroni and cheese. And don’t even get me started on the types of cheese you can use. I’ve used a number of different cheeses, but my favorites are a Mexican blend, and just plain cheddar. I usually toss in a bit of parmesan as well. And truth be told, I usually add more than just 1/2 cup of shredded cheese! 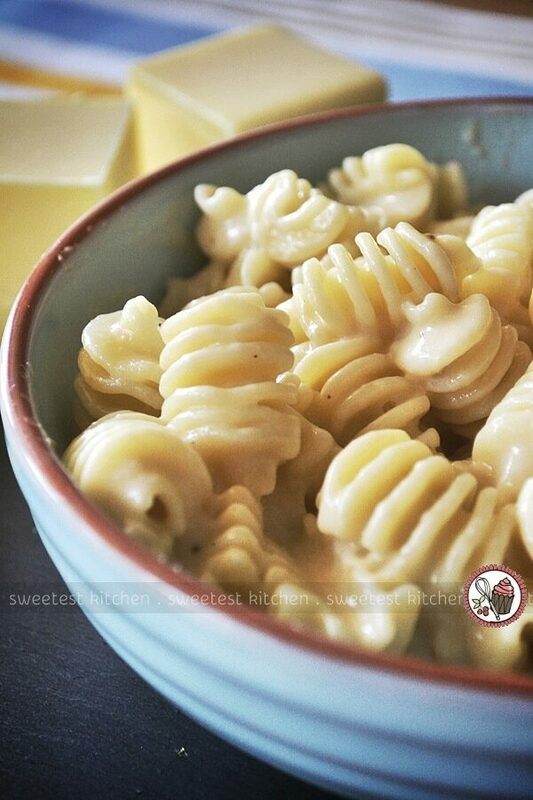 A quick and easy recipe for macaroni and cheese that uses just 3 ingredients and is ready in under 10 minutes. Perfect as a side dish or quick meal. Bring almond milk to a boil; add pasta and stir. Reduce heat to a gentle boil as the almond milk froths up and boils over quickly. Cook for around 8 minutes or until al dente. Stir in shredded cheese and season with salt and pepper. Let sit for a couple of minutes for cheese to melt (it gets thicker as it sits), stir again and enjoy! 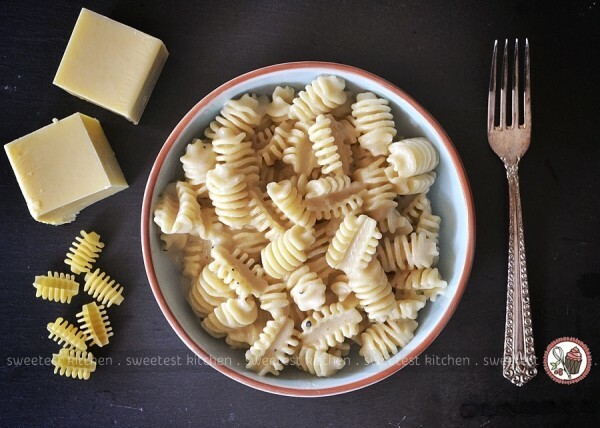 Cooking time will depend on the type of pasta you use; use elbow macaroni for the quickest. You can use any type of cheese, or a mixture of cheeses, you like. Add fresh or frozen vegetables, like broccoli or peas, for the last couple minutes of cooking time. Add in anything else you like with macaroni and cheese, like ham or bacon, or stir through some sriracha if you're feeling spicy! Hubby loved it! I used 2% cows milk. Amazing. Made this because I’m very broke and there was a sale on almond milk. Absolutely disappointed by this recipe. The sauce did not thicken at all and it was more of a soup than mac and cheese. Not sure how I did something wrong, although pointers would be appreciated. No idea what went wrong, Ann, I’m sorry. This recipe turns out brilliantly for me every time. Sometimes, however, I find that the pasta doesn’t absorb as much almond milk as it does some other times. Maybe try adding a little less almond milk, but keep an eye on the pasta to keep topping up with the almond milk as necessary.